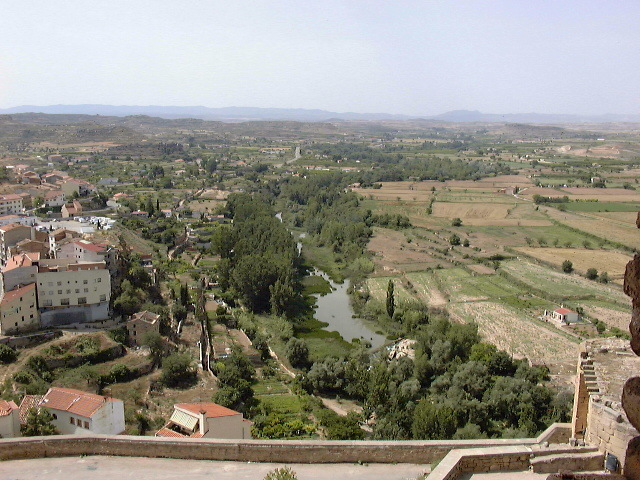 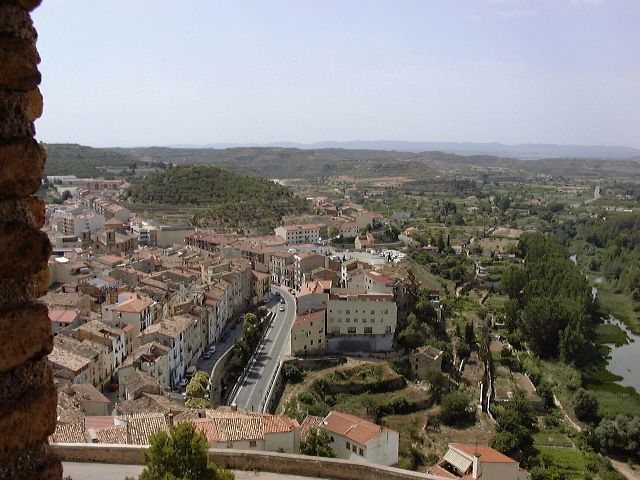 Alcañiz is a small town about halfway between Toledo and Barcelona. 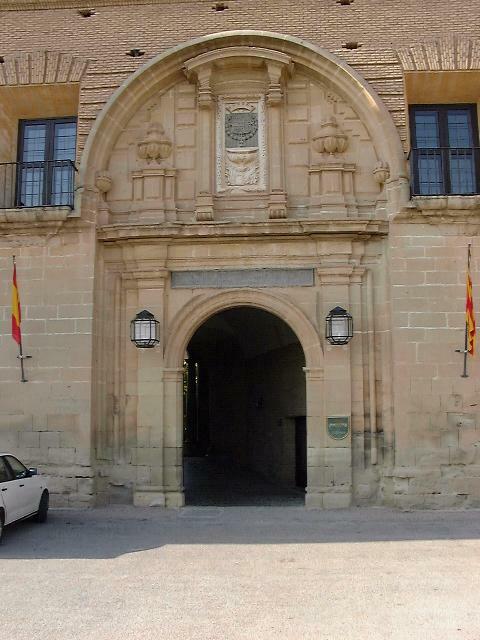 Its main attraction is the parador- a government run hotel which is usually situated in a castle, monestary, or other restored historical building. 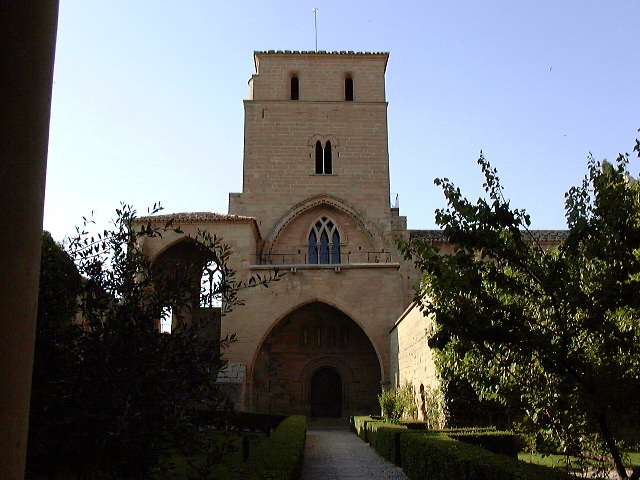 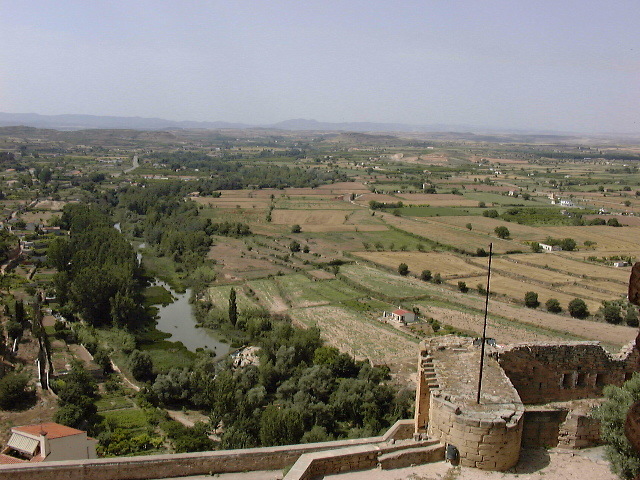 The Parador in Alcañiz was a 12th century castle, built on a hilltop overlooking the town. 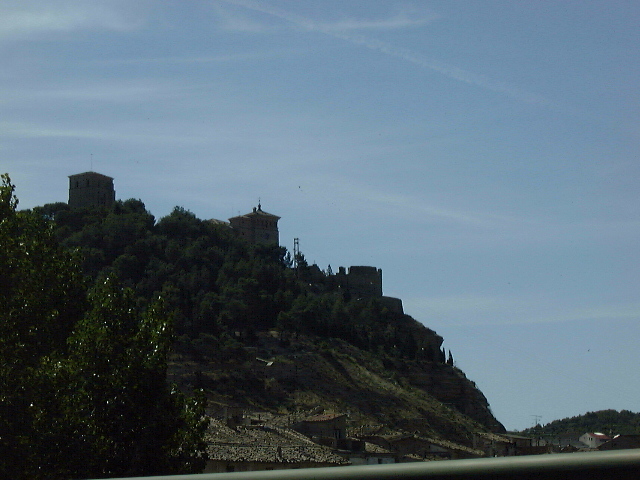 Driving through the narrow streets of the ancient part of the village and up the steep narrow path to get to the castle was definitely more driving excitement then we've ever seen in Michigan. 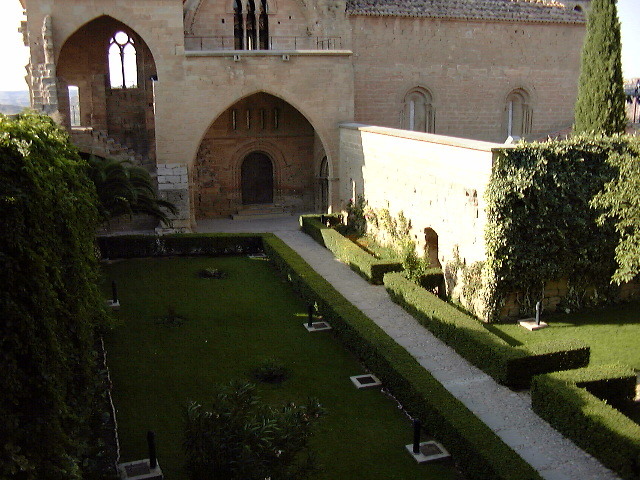 The outer walls of the castle. 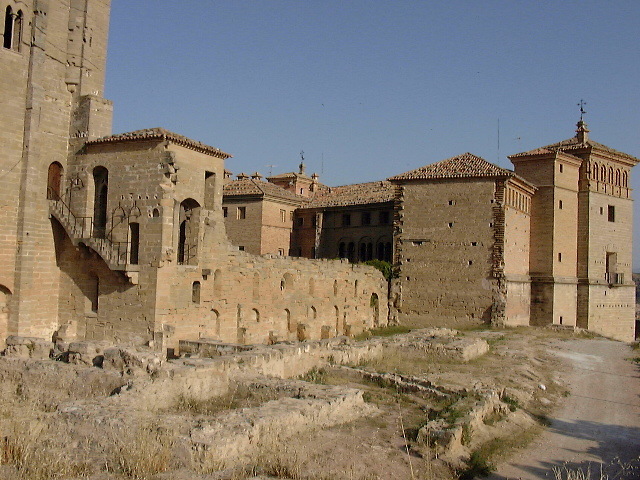 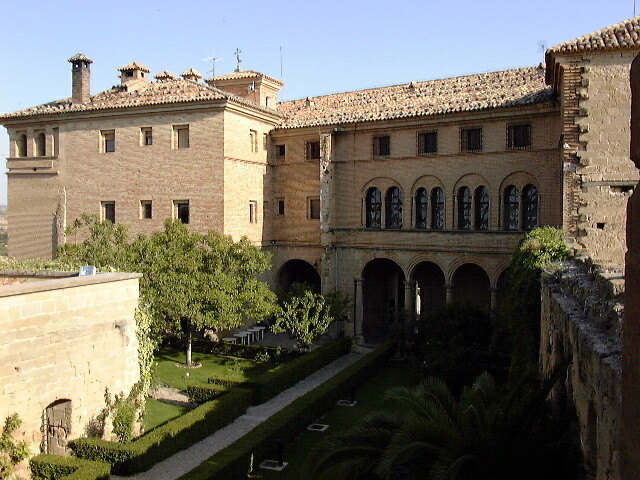 The inner walls and the courtyard. 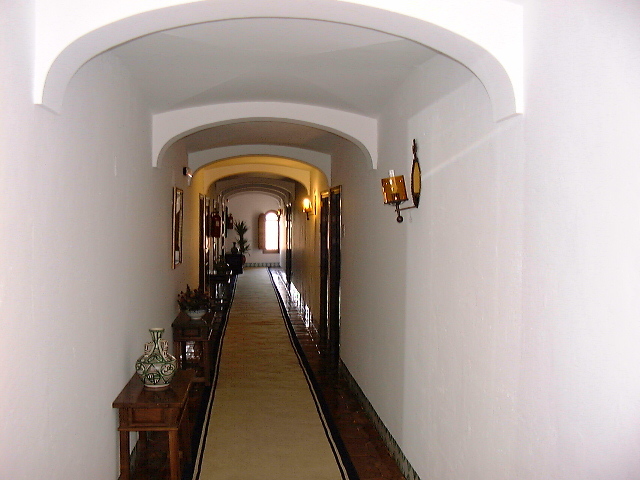 The hallway leading to the guest rooms. 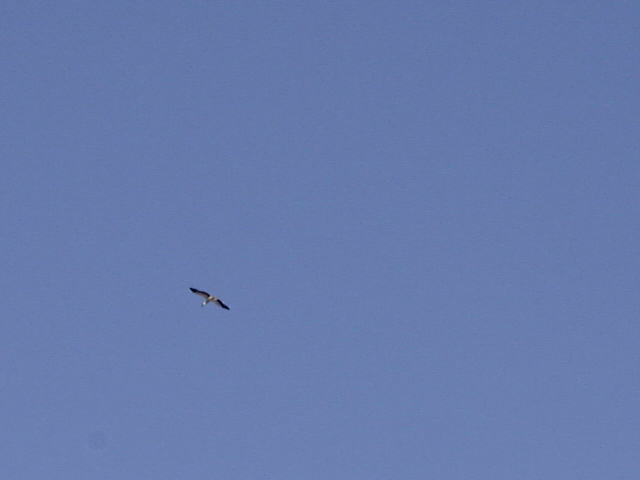 One morning there were storks flying outside our window. 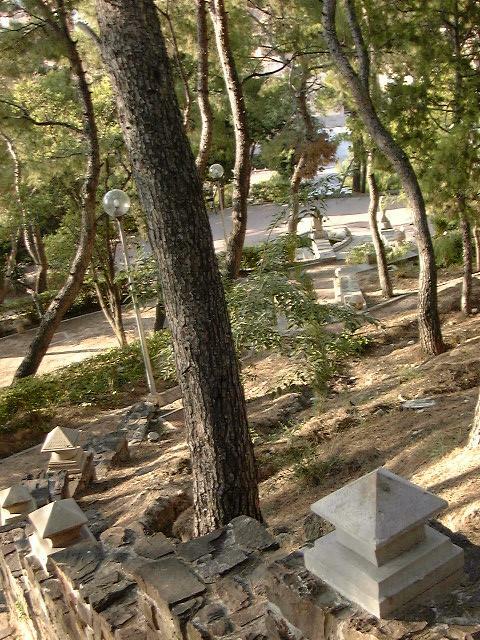 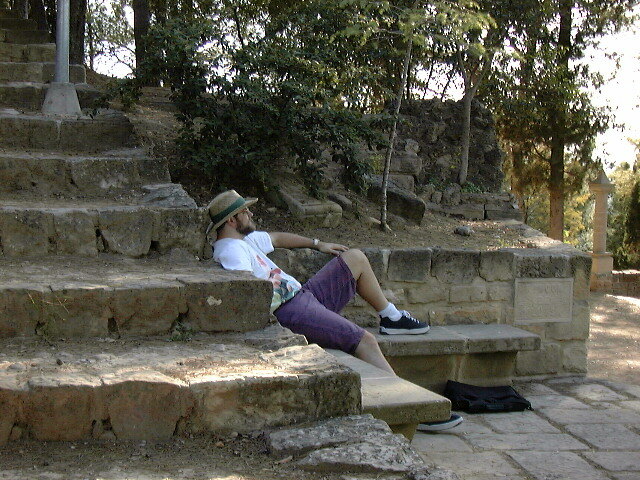 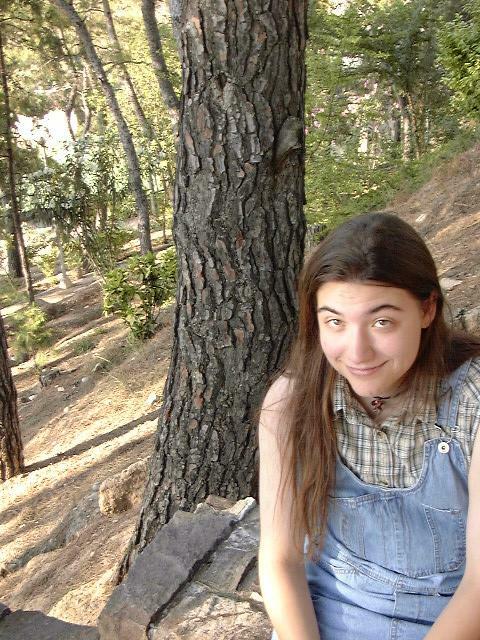 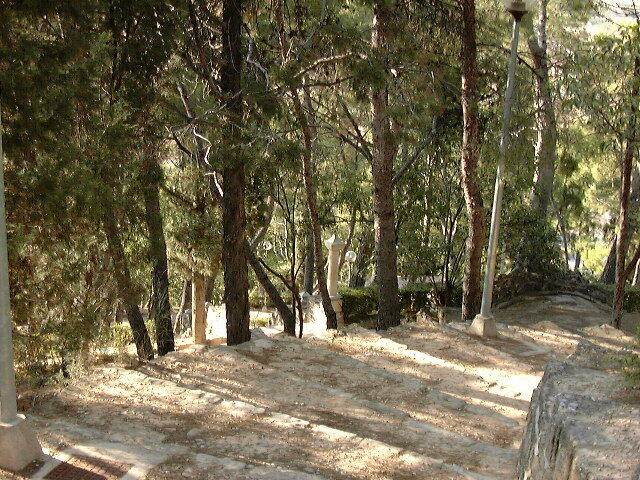 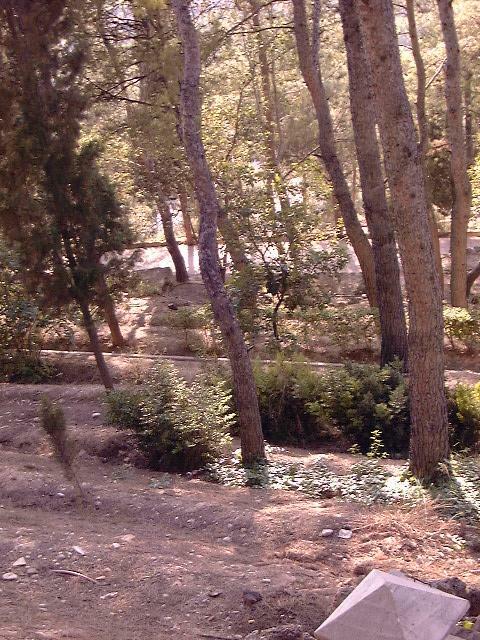 The mountainside between the castle and the town had been terraced and turned into a public park. 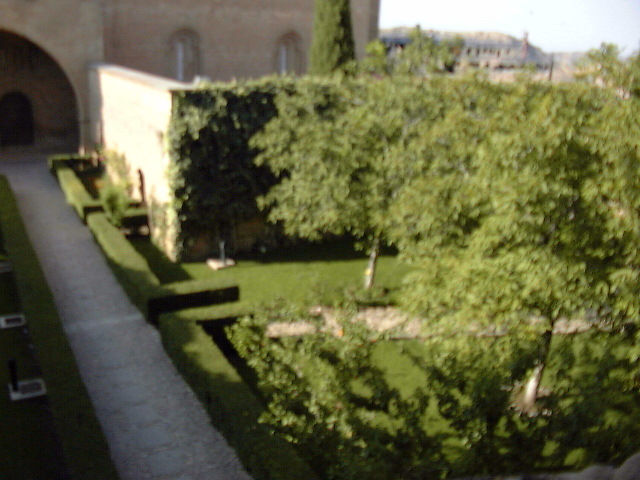 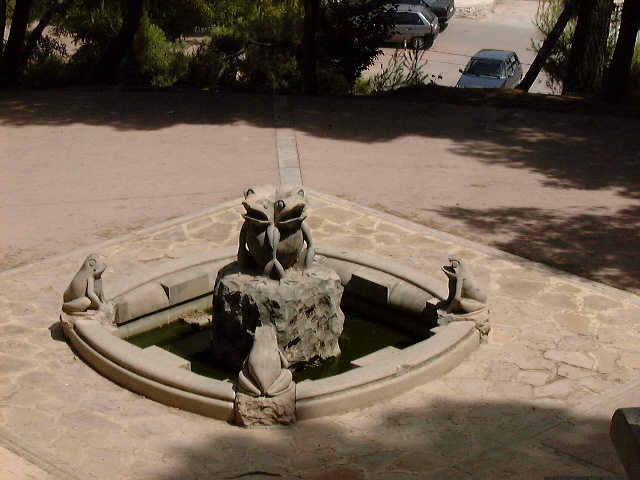 The terraced gardens had a system of small canals and dams that could be used to water the plants and trees, although it looked like they had recently moved to a modern sprinkler system.